Did Chris Brown say Yes! to fighting Drake? and He clowns on Tyga Lookalike | The Word According 2 Heaven Hollywood. Donald Trump Warns Against Charlie Sheen. Cops Raid Charlie Sheen’s Home. Cops raided Charlie Sheen‘s gated mansion Thursday night after hearing the loose cannon had firearms that violated his estranged wife’s restraining order. “Crazy, crazy, crazy. It’s crazy here,” a source inside the house told the Daily News shortly after multiple cruisers from the Los Angels Police Department arrived. A police spokeswoman said detectives were investigating a tip that Sheen owned guns and ammunition. They began searching his palatial estate shortly after 8 p.m. Pacific time. A police official tells The Associated Press that officers retrieved one weapon, an antique gun. Sheen later tweeted the LAPD were AWESOME. Absolute pros! they can protect and serve this Warlock anytime!!! Charlie Sheen, Coming UnDone On 20/20. ABC’s 20/20 just aired an exclusive interview with actor Charlie Sheen, who has been having a tough go of it lately. He opened up the interview by claiming he’s on the “Charlie Sheen drug,” bragged about his excessive drug use, & bashed his own dad for comparing his “drug sickness” to that of cancer, etc. And although he passed a drug test that was administered after the interview, you can plainly see he’s coming undone. Smoking coke & drinking since his youth, Charlie is not gonna last long at this rate. He feels he’s got it under control. He’s been the victim of a drug overdose before, but doesn’t fear death. He says death is for the stupid. But not only is his life coming apart, so is his career. After six successful seasons of “Two & A Half Men,” Charlie says he no longer felt the love from executive producers. But his excessive drugs & partying soon began to cause problems on the set. The network execs put the show on hiatus, but now … they have canceled the multi- million dollar show. He plans to sue. This interview was disturbing in that Charlie is in big trouble & big denial. Doesn’t think he needs help, so he isn’t seeking any. His body language displayed someone who was fidgety & agitated. He was yammering on about nothing, tossing around crazy catch phrases which displayed his exaggerated opinion of himself. Evading questions about his jacked up parenting skills said more than had he answered questions. He thinks his healing is in his own hands. But, I fear it’s just a matter of time before he fully self-destructs. El DeBarge Returns To Rehab. “I hate to disappoint my fans but it is necessary for me to take the time to work on me so that I may continue to share my music and my story with everyone. I thank everyone in advance for their prayers and well wishes and hope that you will respect my privacy during this time.”- El DeBarge on his return to rehab. G-Dep’s Wife Has A Story To Tell. It’s been just over a month since Dep turned himself in, where’s your at head right now? I’m still in the emotional stage. I haven’t moved on from that yet. Over the years I built up this armor when dealing with [Trevel’s drug habit]. But now it’s completely off. 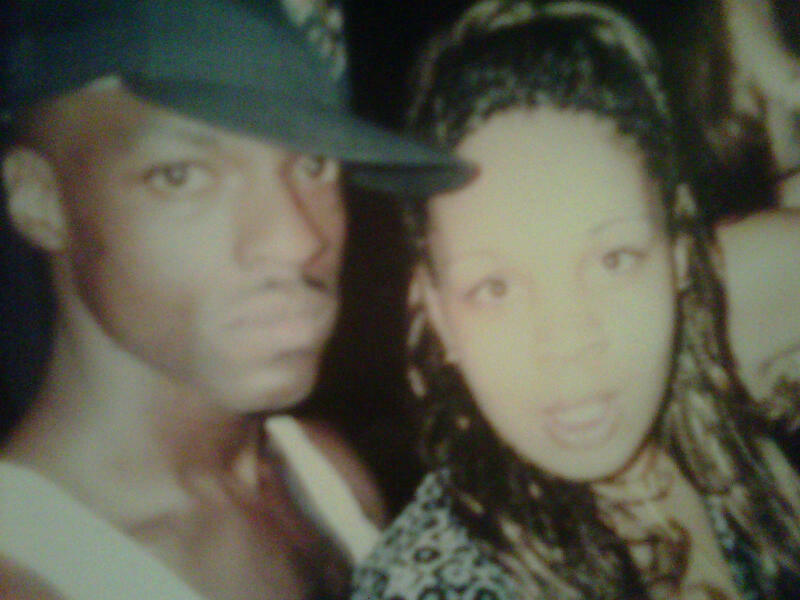 Diddy was quoted saying Dep wouldn’t hurt a fly, but that he always looked like he was dealing with an inner struggle. Did you feel like something was always lying heavy on his conscience? [Long pause] Whenever I saw [Trevell] stand and freeze, I thought it was just an issue with drugs… like that was the effect of the drugs… that was from being dropped from Bad Boy, him not having enough money to provide for us the way he wanted to. Those type of disappointments. Are you two still married? A story in the New York Post mentioned he had a girlfriend, but not a wife. I’m his legal wife. We’ve been separated for a year, but I look at it like you can always go back to your wife. We’re still intimate, I’ll put it that way. He has a daughter with his girlfriend. I don’t know what he’s doing with her right now, but we’ve been communicating every single day so I’m good with that. And he knows that I’m taking the forefront to handle everything. And I think they both have a drug dependency. It looks like it, there’s no denying that. Safe to assume that drugs were the reason you both separated? Yes, I couldn’t take the drugs anymore and it came to a point where I had to make a choice. I would work all day, come home and then 2 o’clock in the morning someone’s calling me like ‘Trevell is here, come get him!’ Then I’d bring him home, try to feed him and get him to wash.
Yeah, but then there’s times where he’s been fine. I don’t do drugs, I don’t condone drugs and I don’t enable him. When we first met, he would sometimes smoke weed in front of me, but nothing else. So when we’re together he could go like a month and not do anything and then one day he’s standing there like a zombie and it’s like okay. What was the other drug? PCP. Dust is what everyone calls it. I’ve taken him to rehab after rehab. I’ve tried everything. I don’t know a lot about drugs because I have no one in my family that’s dealt with that. I tried everything possible. Since he only smoked weed in front of you, how did you know it was more? I can’t tell you exactly when, because I don’t know if I was naïve. But I have pictures of Trevell where he was dressing crazy. That’s when I was like Okay, this is just not weed. When Trevell had his very first performance, he had no stage presence, so I don’t know if people gave him things to make him get more hyped. I don’t know because he wouldn’t do that stuff in front of me. What’s been reported is that he had been living with the secret of shooting a man for nearly 20 years. When did he tell you? So whenever he told you, you didn’t take it seriously? Yeah. Because he was looking at a picture of the Last Supper and said he was Jesus and named each one of his friends. Was that the same time he might’ve told you? They all happened at separate times. Did he ever mention it at another time that maybe made you say ‘Hmm, maybe he is telling the truth’? I can’t answer that. I do have feelings on it but I can’t answer it. Is it because those feelings bother you? [They] do. Trevell and I have been through so much stuff. When you see a crackhead on the street and you know they’ve had a history of drugs for years, you don’t listen to everything they say, you just wave them off and keep walking. So I had feelings on it, [but] I’m not ready to be vocal. I don’t know how else to answer that. I mean he said he was Jesus. Does it make you feel guilty at all… like you could’ve talked to him about it? No. Because I have done everything I possibly can for Trevell. I have given up myself, sometimes time with my children just to tend to Trevell. I’m his wife so I will continue to do everything I possibly can. I support my husband no matter what. You took those vows very seriously. The Post also reported that Dep’s mother and girlfriend tried to convince him not to turn himself in, did you know he was going to do that? No. He never reached out to you before heading to the police? He called me at 2 o’clock in the morning, I can’t remember exactly what day, but it was that week. And I’ve had the 2 o’clock in the morning phone call before. So he was like ‘Hey what’s up?’ And I was like ‘I’m sleeping right now I gotta wake up in the morning’ and I hung up. Then a day or whenever later I’m in Costco and someone calls me asking do you know G Dep? We just wanted to verify some information.’ I said I’m not verifying any information and hung up. After that my brother texted me and said Trevell got locked up. I wasn’t even thinking about the last phone call, I just said ‘No, no, no, Trevell just got out a little after Thanksgiving.’ Then my brother was like ‘No Crystal, he’s locked up.’ Then I called Trevell directly and got no answer. Called his mom and she says he is in jail. I said my brother says he’s in jail for murder, she said that’s what he’s been charged with. Then the whole Costco started spinning. All I could do was stare at my boys. So many thoughts went through my mind. All of these emotions are going through me and I’m just trying to stay calm and register all of this. I was smoking a thousand cigarettes. I was on the floor of my room crying and praying. I couldn’t eat or do anything. Reflecting back on it do you think he was calling to consult with you? Only Trevell knows. And I haven’t asked him. [Long pause] My focus on Trevell is to get him the best defense, not to focus on the past. So we just speak on what’s next, not what happened. It doesn’t matter. I’m the type of person who just likes to move on. Understandable. But theoretically if you hadn’t had hung up and he was calling for consultance, what do you think you would’ve told him? To talk to a priest. That’s all. I don’t know what state [he was in]… from that phone call I thought it was like any other phone call I get from him. Feel you. Does he feel like he made the right decision? I know the answer but I can’t answer that. I wish I could, because I want to [Pause]. That’s like a lawyer thing. Let’s just say when I speak to Trevell on the phone he sounds good. Have you been in contact with the victim’s family? Have they tried to reach out? No. But I understand that they lost somebody. I haven’t reached out because we need to be sure. You think there’s a possibility that the drugs led him to go to the police and confess to someone else’s mistake? No, I didn’t ask. I’m depending on the lawyer. Would you be surprised if he were found guilty? Yeah. It’s not him. Trevell doesn’t even smack his sons for doing something wrong. You guys have two boys right? We have twins. It’s funny because Trevell always said that I would have his son. One is named after his father, Trevell and the other is named Tyler. How are they handling everything, do they know exactly what happened? Because of the neighborhood we live in, I had to tell them. Before this happened people would come up to me and be like ‘Oh you know Trevell has a problem’ and be all in my face. So I didn’t want the boys to go out and hear it from someone else. Their father always takes them to get a haircut. I’ve never been. So I thought it would help to bring them to the barber they know. But after, we went to get a videogame and little Trevell says ‘I’m going to get this game!’ and I was like Trevell you don’t have enough money to get that game and he said ‘I should have taken that twenty dollars off of [the barber’s table]. I said Trevell that’s stealing. And he said ‘Yeah, if I steal then I get to go to jail and then I can be with Daddy [ tears up]. That killed me. Yes, I love my husband very much. We have a great friendship. When he’s not high the two of us are on the same plane together. There are things that are exactly the same with us. He tries. I always say he’s such a good person he just has demons. And he has to work through those demons. But even when he’s high, he’s very calm. That’s the Trevell I know. He always prays, whether he’s high or not. He’s not a gangbanger, that’s not who I know. I think I read that he’s been arrested more than 20 times. It seems like trouble or bad lunch follows him plenty. Yes, he’s been arrested a lot, off of BS stuff. Either he was high somewhere or trespassing. I read an article that he robbed someplace, but that’s not him. I know he had an incident with Sprint where they said he tried to steal a phone, but it was really a cardboard display. Do you think you’re too nice? All through our relationship people would tell me I could find a better person, you know he’s on drugs. But my girlfriends always say we’ll be here for you but only you know when it’s enough. Would you ever take him back? Of course. He’s my husband. I love Trevell so much. When he’s clear he’s all about me and the boys. Once you get to know somebody’s heart, you don’t leave them. Even if he said he didn’t want me, I would still be doing what I’m doing now because I made a commitment to my husband. –“The BklynBandette.” Mr. Hollywood’s Co-Defendant. MJ Allowed Illegal Anesthesia To Blanket. Sources tell TMZ … Michael cajoled a Las Vegas dentist into performing a procedure on Blanket in July, 2008, that involved putting the boy under anesthesia for 2 hours in a dental office that did not have the necessary permit for anesthesia. TMZ has obtained internal documents from the Nevada Board of Dental Examiners, which detail Michael Jackson’s interactions with Dr. Mark Tadrissi. 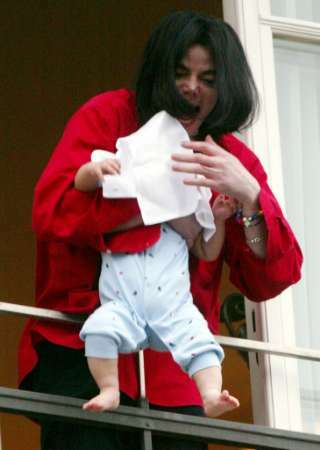 According to the documents, Tadrissi told Michael he couldn’t perform the procedure on Blanket because he lacked the permit. Tadrissi capitulated and performed the 2 hour procedure on Blanket … who was 6 years old at the time. An anesthesiologist had Blanket sedated the entire time. Now here’s where it gets mysterious. The Board — which learned of Tadrissi’s actions after Michael died — initiated a disciplinary action against Tadrissi for allowing Blanket to be anesthetized in his office. The Board also went after Dr. Tadrissi for allowing Michael to receive Propofol in his office, without the proper permit. Dr. Tadrissi struck a deal with the Board in 2010 in which he was sanctioned. In a draft of the report, the Board based the sanctions on his treatment of both Blanket and Michael. But in the final version of the report Blanket was taken completely out — there is no mention of the boy or his treatment. One source connected with the investigation tells TMZ … pressure was put on the Board to omit Blanket from the report, and when the final version was issued, the discipline was based solely on Michael’s treatment. Paula Abdul Denies Having Drinking Problem. Marion Barry Next In Line For A Reality Show. Former Washington, DC mayor Marion Barry is shopping around a reality show of his own, the Washington Post reported. Perhaps one of the more infamous mayors in American political history, Barry was once busted for smoking crack cocaine in a hotel room in 1990. Despite being caught on camera with the drug, he was re-elected in 1994 to another term as mayor. Barry also was put on probation in 2005 for not filing or paying income taxes for several years and was accused of misdemeanor stalking in 2009. But through all his legal problems, he’s still seeking the public spotlight. His reality show, called “Mayor For Life” isn’t exactly similar to Sarah Palin‘s moose-hunting escapades, but much like Palin’s show, the proposed series follows the Mayor around for a glimpse into his personal life. Unlike Palin’s show, it delves more into Barry’s political life – in which he’s still active – and not much into his family. The show, according to the first 30-minute episode posted on YouTube, is based in Washington, DC where Barry, now a City Councilman, is trying to avoid being censured for some slightly shady transactions concerning awarded contracts. The current fight for Barry centers on a personal services contract he allegedly awarded to his girlfriend, friends and supporters – including his former communications aide, Andre Johnson. “I cannot afford this negative publicity,” a panicking Johnson can be seen on the show telling a calm Barry. The show hasn’t found a network home yet, but it has already gotten at least one staffer fired, the newspaper reported. While not punished by the city council, Johnson was later fired by his current employer, Councilwoman Yvette Alexander, for his appearance in the episode.